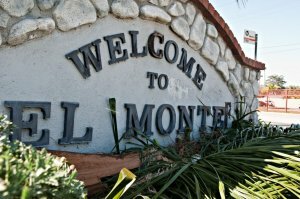 We’re by far the easiest way to sell a property in El Monte! We’re here to do all the “heavy lifting”… we’ll handle all the stressful aspects of selling a property. Our service is 100% free. No Fees Ever. Offers provided within 1 business day or less! No commissions, concessions, or closing costs! We can purchase with tenants in place. Tell Us A Bit About The Property. This should take about 10 mins or so. After, we will jump right into action. You decide if it’s a fit or not. If the offer works for you, Great! If you’ve inherited a property, own a property far away, don’t want landlord responsibilities, or need to pay off some bills, we’re here to help. Quick Home Offers will help you successfully sell no matter how difficult your situation is, or how fast you need it done. What do you think we did well? Timely communication was the highlight of your service. Tell us about your situation and how we helped… Newly retired, needed to turn over this asset to firm up our “go forward” plan. Selling “as is” greatly appealed to us as this had been a rental unit and listing with a real estate firm would have delayed our efforts. We Buy Houses In El Monte – Why Sell Your House To A Cash Buyer? Each one of these options has its advantages and disadvantages. Here we’ll spell out the pros and cons to each option. Pros: You can usually get full retail value. Cons: This is the most expensive way to sell, and often times selling with an agent can take anywhere from 3 to 12 months. After accounting for carrying costs (insurance, mortgage, taxes), escrow fees, closing costs and commissions, the back end fees can amount from 10% to 12% of the final sales price. Buyers typically want properties to be in tip top shape. Timeline: Selling using an agent will usually take around 3 to 12 months depending on how good your agent is, the market and the property. Pros: You can get close to or full retail value. You control the process. There are less costs on the back end. Cons: Selling FSBO usually takes the longest time. If you’re don’t know the real estate process this can get tricky. Buyers typically want properties to be in tip top shape. Timeline: Selling FSBO will usually take 3 to 12 months depending on the market and your property. Pros: This is the least costly way to sell a property. Cash buyers are usually very flexible, can purchase “As-Is”, and they can move quickly. No back end costs. Cons: These buyers typically cannot pay full market value, however the back end costs are lower. Timeline: Typically 7 to 30 days, depending on your schedule and when you’d like to close. Everyone is different, so to determine which selling route you should take will depend on your urgency, and if you want to fix the property up before selling. If you have a property that is in need of repairs, or you need to sell a property quickly, then using a “We Buy Houses In El Monte” or “Sell House Fast In El Monte” company might be a good solution. There may be a few “Sell My House Fast El Monte” or “We Buy Houses in El Monte” companies, but Quick Home Offers is the easiest, and the only company that takes time to understand your situation, and craft an offer around your needs. If you need to sell your house fast in El Monte we are here! Get An Offer Within 24 to 48 Hours. If You Decide The Offer’s A Fit, SOLD! It’s That Simple. There are countless reasons why you may want to sell your El Monte property, like bad tenants, maybe your property needs work and you don’t want to fix it up, you live far away, or just want an easy sale. If you’re thinking “sell house as is cash El Monte”, “sell house fast El Monte”, then Quick Home Offers can provide you with a simple solution. 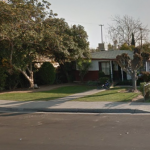 We Buy Houses in El Monte California! Sell House Fast El Monte CA! 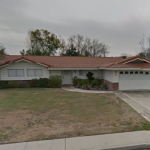 Quick Home Offers is a cash house buyer in El Monte, CA. We also buy in many other places such as Ventura County, Los Angeles County, Inland Empire, Fresno, and more! There are never any obligations to accept an offer! There are no commissions, and no closing costs paid by you! It really is the easiest way to sell. Period! If you’re looking to sell your house cash as is the easy way, simply request an offer!